After receiving an incredible amount of feedback from our loyal readers – Thank you all for commenting – our team has updated our review rankings based on the new information that was brought to our attention. According to our research, Castle Crush is a great game “at first”, but soon becomes too difficult to play without making in-app purchases. 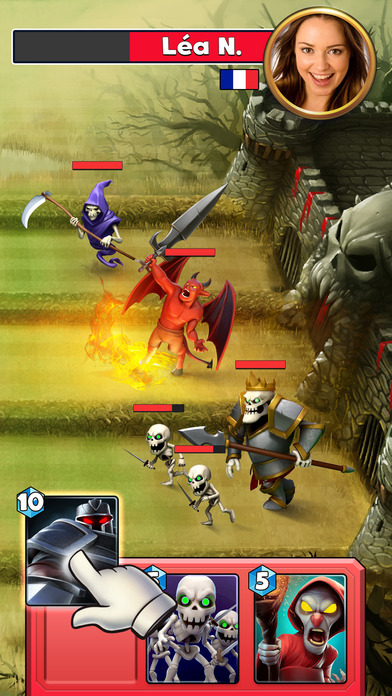 Castle Crush is a high-end castle crusher game for your iPhone. 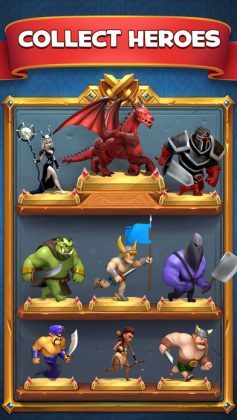 Based on a similar card-based battle system to the insanely popular Clash Royale, Castle Crush features a much simpler battle system, resulting in easier gameplay without loss of functionality. Simple is best! 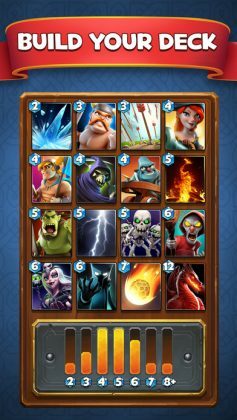 Featuring a 3 laned battle system, Castle Crush is played by touching and dragging cards into one of the 3 lanes leading up to your enemy castle in order to destroy it. Obviously, your enemy won’t let this “just happen” and so you will be required to battle past your enemy forces before you can take down his/her castle. Although very simple, there are still a surprising number of strategies you can make use of when battling your enemies. (i.e. You could split your forces evenly between all 3 lanes, focus all your power on just one lane, or even lure your enemy in just to clear the board with an insanely powerfully counter spell.) How you play is completely up to you. Jumping out of the battle screen, Castle Crush boasts an abundance of features and cards you can collect, power up, and re-arrange to create the ultimate deck of warriors. 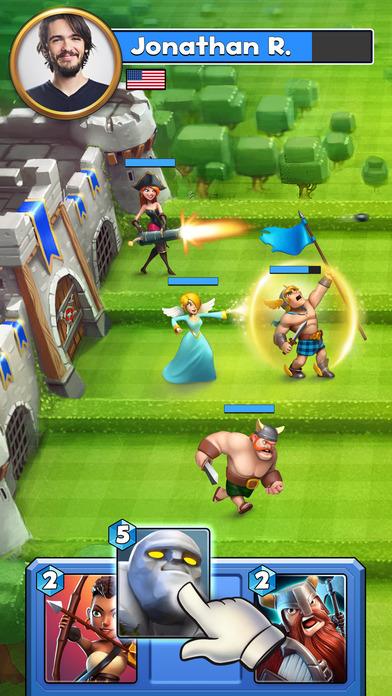 With a simple gameplay system, a high level of functionality and plenty of characters to unlock – Castle Crush is a game we’d recommend to anyone who secretly feels like destroying a castle every once in a while. I just deleted the game. Too many times being absolutes towelled by lower level players. Final straw was being crunched by a player 4 levels below my own whilst they jibed and chided throughout the battle. It’s great in the first couple of castles, but if you don’t spend, you just don’t get anywhere. Waste of time. Really disappointing because it looks awesome when you start. Not super impressed. The games promises a lot and at the start, is quite engaging. But the balance is way off, I am still reasonably new, lvl 5, but just got owned by a lvl 2 player who had cards well beyond their level…did they purchase the cards? Who knows, but when compared to normal combat sequences, this battle was completely one sided, and I mean the jnr lvl player won. can someone help? 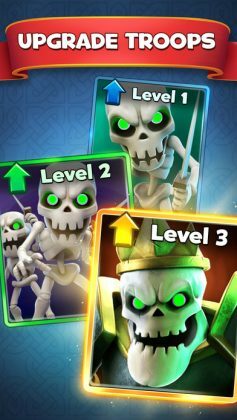 I made it to castle 4 just using weenie cards and standard bearer but now everyone has level 6-7 cards while I’m still stuck at level 2-3-4 so I basically get destroyed and keep bouncing back and forth between castle 3 and 4. Should I just keep losing all the way until I’m back down to training grounds? There are some cards I’d like but I never got. Or is there another way to get them and level up without spending money? I refuse to spend money on any apps. Thanks. This game is a HUGE SCAM and COMPLETELY RIGGED. force players to keep spending money. It will constantly favour players who DO spend over players who do not spend. You will never compete on a fair playing field and you’d be better off throwing your money in a dumpster than spending on this HUGE SCAM. Is this review a joke? This game is a complete SCAM. The algorithm is skewed and rigged to heavily favour players who spend. If you don’t spend, you are fodder and will always lose. AVOID! AVOID! AVOID! This game is really awesome! Being playing for a while now, and the review is spot on!